My work in Hawaii started when I arrived in the Vitousek Lab in 2000, looking for a dissertation project and really having no clue of what I was going to work on. As I cast around for ideas, it became increasingly apparent to me (I think it was apparent to others for a long time) that the sites of this famous chronosequence became increasing less representative of the landscape in which they sat as the landscape got older and older. Said another way, each site starts off as a lava flow on a gently sloping shield volcano. Under high rainfall (the sites get about 2.5 m/yr) the first rivers begin to cut into the volcanos surface after about 20,000 years. 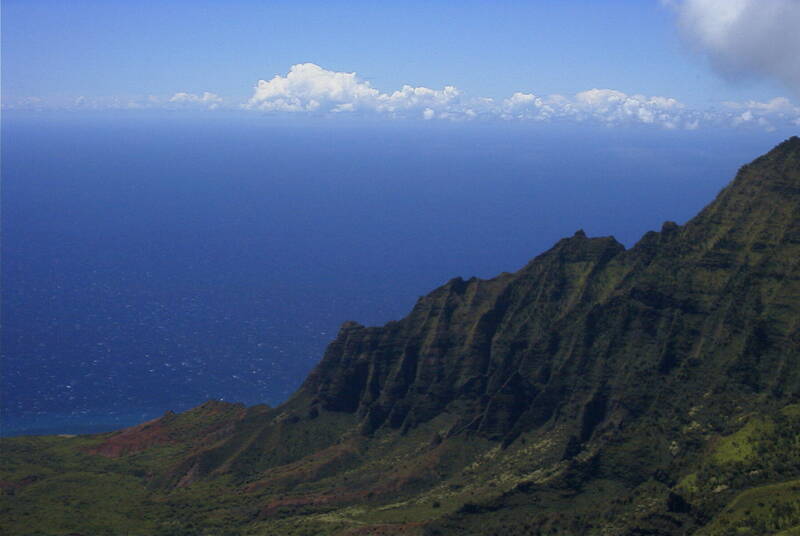 By 150,000 years, wetter sites are largely dissected by erosion, and by the time you get to Kauai, perhaps only 2% of the original shield volcano surface remains, the rest is steep slopes, rivers valleys, landslide surfaces, etc. Here’s digital elevation model-based figure of four volcanos of different age to illustrate the point (a: Kilauea, active, b: Kohala, 150,000-400,000 years, c: East Maui, 400,000+ years and d) Kauai, 4 million years. There are flat, remnant shield surfaces on Kauai, they are just rare. So I got curious how biogeochemistry at the landscape scale varied across the islands. Not surprisingly, Kauai was much more heterogeneous, old flat soils on ridges sat adjacent to younger, actively eroding soils on slopes. 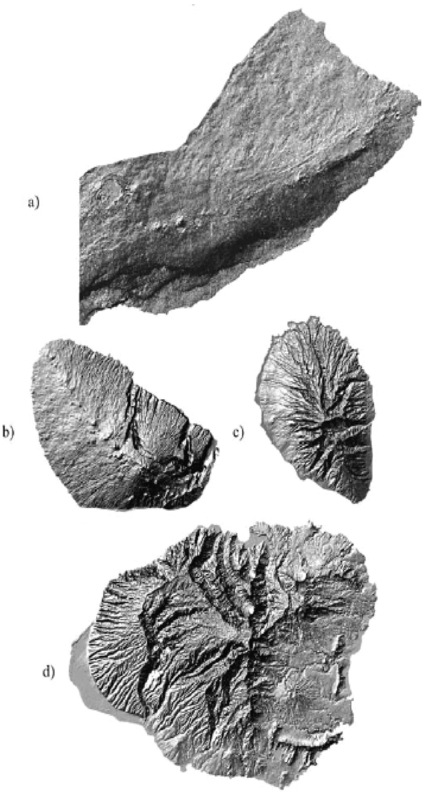 One of the main findings of my dissertation was that there was as much biogeochemical heterogeneity in 1 km2 in Kauai as there was across the 4 million years of soil development on flat surfaces. This work really got me interested in how erosion, and geomorphology in general, influences ecosystem properties. Ecologists tend not to think about the rocks and landforms that underly the ecosystem, just as geologist tend not to think too much about plants. But I think, and I’m certainly not the first, that understanding the interaction between landforms, geomorphic processes, and ecosystems will allow us to understand spatial patterns in ecosystems in a way we haven’t before. That intersection is now a major focus of the lab.